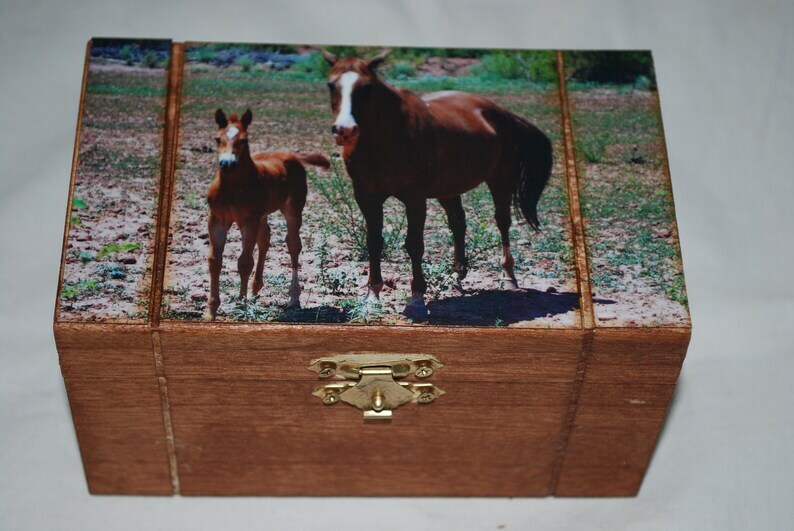 This adorable box comes with a photograph of a mama horse and her baby on the top lid. Photo was taken by me in Jemez, NM. This box has been sanded and stained in a pretty oak color. The inside of the box comes with some rustic green paper decoupaged into the lids.